If you've tried more skin care solutions than you can count with lackluster results, make a change. 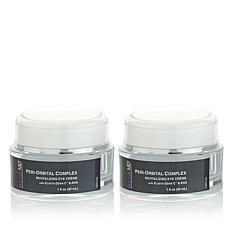 Now you can nourish your skin with the latest in anti-aging treatments. Did you know that your skin has different needs during the day than at night? Bio-Clock AM Day Beauty Therapy cream from Nassif MD Skin Care helps soften the look of fine lines and wrinkles, moisturizes, and protects your skin. At night, Bio-Clock PM Night Therapy Serum treats your skin while sleep to balance your skin tone and minimize the look of wrinkles and pores. You'll wake up with soft, supple skin that looks fresh. Sometimes your skin needs extra TLC, so treat your skin to Bio-Clock cleansers and detox pads, too. To treat extra dry skin, try Hydro-Screen Hydrating Serum. What makes this skin care line different? Bio-Clock is the only solution created by well-known surgeon Dr. Paul Nassif. You may recognize Dr. Nassif from the show ""Botched"" that airs on the E! channel. 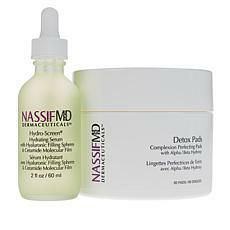 Dr. Nassif has researched the newest anti-aging solutions, including a rare natural ingredient made from frozen grapes. Your skin deserves the best. 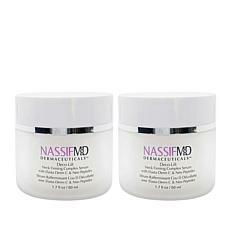 Start the beauty regimen that works by shopping HSN for Nassif MD Bio-Clock Dermaceuticals today.